As the story goes, Wonder Woman's God Killer sword was a gift given to the Amazons from Zeus that could be used to slay his son Ares, the God of War. As we saw in the film staring Gal Gadot, the sword didn't exactly live up to the product description, and the real God Killer turned out to be Wonder Woman herself. However, the tower on Themyscira also contained a sword that could be used to thwart Zeus' own rainstorms. 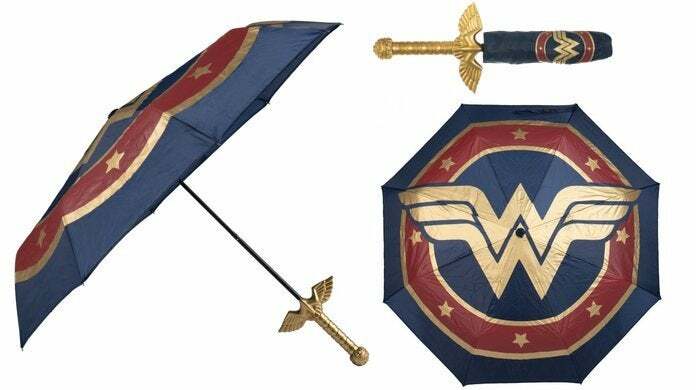 If you want to wield Wonder Woman's Rain Killer sword this Spring, pre-orders are available right here for $33.99 with free shipping slated for April. Quantities are limited apparently, so reserve one while you can. Just don't hide it in your dress - the water dripping down your back would just feel gross. 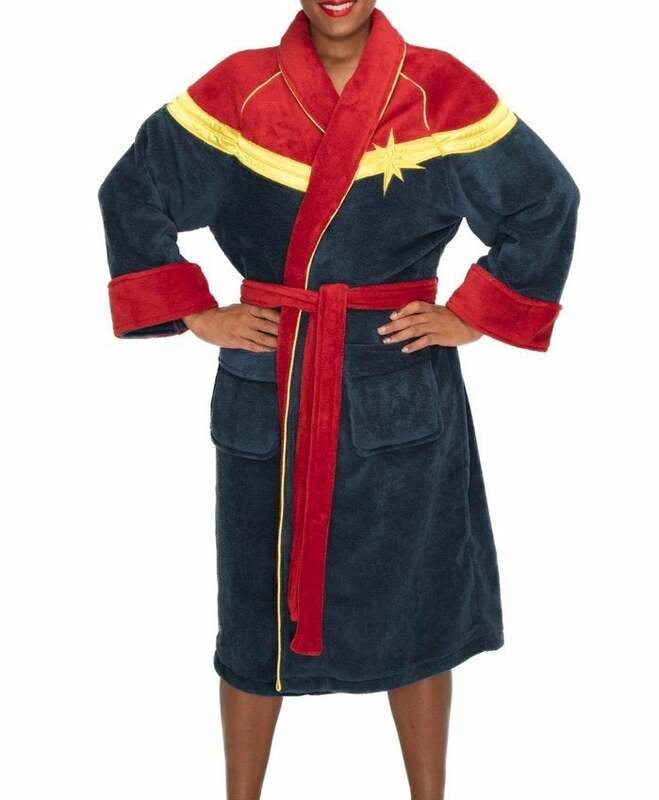 On a related note, Marvel recently released a luxurious Captain Marvel bathrobe, and it's available to pre-order right here for $46.99 with free shipping slated for June. The matching slippers are available here for $19.99 with free shipping. When they arrive, you should immediately draw a bath, turn off your pager, and treat yourself.